“LaFerrari”, the eagerly awaited new model in the limited edition series from the Prancing Horse – of which only 499 examples will be built and more than twice the number of requests have already been received – is still the undisputed star at the Geneva Car Show on the second day, the show is open to the public. 963 hp for the first hybrid in the history of the Prancing Horse with an absolute record performance: from 0 to 100 km/h in less than 3 seconds and from 0 to 200 km/h in less than 7. 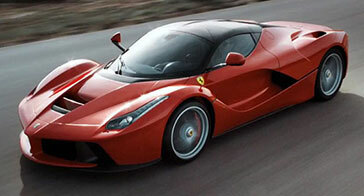 Compared to the Enzo the “LaFerrari” consumes less, while the Co2 emission has been lowered by 50%.